1.What is an F .I.R ? Ans : F.I.R. means First Information Report, made to police, about commission of a cognizable offence. In effect, it amounts to putting law in to motion by giving information relating to the commission of a cognizable offence to an officer in charge of a police station, (which shall be reduced into writing and read over to the informant ) and shall be signed by the person giving such information. It is mandatory to give a copy of the first information report (as recorded by police) to the informant free of cost. 2.How do I lodge F.I.R. ? The informant/complainant should go to the Police Station having jurisdiction over the area (where the offence is committed) and report to Officer in-charge /station house officer about commission of a cognizable offence. In case information is given on telephone, the informant/complainant should subsequently go to the police station for registration of F.I.R. Every piece of information relating to the commission of offence is to be given to the officer in-charge of the police station. If it is given orally to the officer, he shall reduce it to writing and read it over to the informant to confirm and verify the details. Every such information has to be signed by the informant after which it is required to be recorded by the officer in a book maintained for this purpose as prescribed by the State Government. The informant is entitled to receive a copy of the FIR free of cost. If the officer in-charge of the police station refuses to record the information, one can send the substance of such information, in writing to the Superintendent of Police (SP) concerned. The SP can start the investigation himself or direct any other officer subordinate to him to start the investigation. NOTE: When you file a FIR, be very specific. Don’t forget to take a copy of the FIR. 3.Registration of FIR in case of Women . Ans : No technicality should be allowed to come in the way of prompt registration of offences against women. As soon as information about such offences is received, FIR must be recorded in accordance with the provisions of Sec 154CrPC. FIR, being an important document should be drawn up with greatest care and caution, incorporating all material information / facts which are directly connected with the crime or are likely to form important evidence. The victim can lodge FIR in any police station of the State and subsequently it can be transferred to the concerned PS for investigation. Proviso to Section 154 Cr.P.C. provides that information pertaining to offences given by woman victims shall be recorded by a woman Police Officer or any woman officer. In this Connection Police Circular Order343/13 regarding standard operating procedure (SOP) for registration of FIR and Investigation of Crime against Women & Police Circular Order 338/13 regarding prompt investigation of cases in case of women have been issued. 4. What is a cognizable case or What is cognizable offence ? Ans : A cognizable case means a case in which a police officer may, in accordance with the First Schedule of Cr.P.C (1973), or under any other law for the time being in force, arrest without warrant. 5. What is the meaning of the term ‘taking cognizance’? Ans: The term ‘taking cognizance’ has not been defined in Code of Criminal Procedure. When any Magistrate cognizance under section 190 (1) (a) Cr.P .C., he must not only have applied his mind to the contents of the petition but he must have done so for the purpose of proceeding in a particular way as per procedure prescribed in the Cr.P.C., and there after sending the complaint for further enquiry. A magistrate can also order investigation under section 156(3) of Cr.P.C. 6. What is a Non cognizable offence ? Ans : Non cognizable offence means in which a police officer has no authority to arrest without warrant. 7. How do I lodge a NC complaint ? Ans : Information about such offences is to be given in a similar manner as explained under F .I.R.. The officer-in-Charge would reduce the complaint in writing (about commission of Non cognizable offence) and give a copy there of to the complainant free of cost. No police officer can investigate a non-cognizable case unless he obtains prior permission of Magistrate having power to try such case. 8.What is meant by a ‘complaint’? Ans : Complaint means any allegation made orally or in writing to a Magistrate, with a view to his taking action under code of criminal procedure (1973), that some person (whether known or unknown), has committed an offence. In case of non-cognizable offences, police do not have a right to investigate the complaint without the orders of the court. Station Diary entry will, however, be made for any such complaint & further enquiry shall be conducted. If the complaint about a cognizable offence is not being registered at the P.S. level you can meet the superior officers. 9.How to apply for ARMS license? Ans:Purposes of Lawful Firearms Ownership is for Target-shooting, protection of person or property and private security. Firearm ownership is not permitted for the purposes of collecting or for hunting of animals for sport or food. 1. An application “Form – A” for the grant of license shall be made to the licensing authority i.e S.D.M. (Sub-Divisional Magistrate ) of District. The fees for the grant of a fresh license depend on the type arms for which the license is being sought. They are highest for a handgun (pistol/ revolver) & repeating rifle (Rs. 100/-) and the lowest for a Muzzle loading gun (Rs. 10/-). License renewal fees are 50% of the application fee. 2. On receipt of an application, the licensing authority shall call for the report of the Officer in charge of the nearest police station on that application, and such Officer shall send his report within the prescribed time. Officer shall check for criminal record of applicant as well as the veracity of all information declared in the application. 3. The applicant must declare all addresses that he/ she has resided at during the last 5 years along with the time period and duration from-to for each address. A verification report will be requested from the relevant local Police Stations at all the addresses provided by you. 4. The Licensing Authority, after such inquiry, if any, as it may consider necessary, and after considering the report received as mentioned above, shall subject to the provisions of the Act, by order in writing either grant the license or refuse to grant the same. Documents to be furnished along with the application form are proof of address and proof of date of birth – plus any other documents that the applicant wishes to submit in support of proving his/ her stated “NEED” for a gun. Typically the licensing authority may issue a license of validity only in the particular district or the entire state. Licenses which are valid nationally (across all states) are issued in relatively few cases, and then too only upon furnishing valid reason/ need. I would suggest, one should first try and get a license which is valid in ones home state or even district, and then worry about extending the area of validity – better chances of success. This basically means that your application shall be sent for “verification” to your local Police Station (under whose jurisdiction your stated address is). They basically will check if you have a criminal record or not and the veracity of all information declared in the application. Persons with past criminal records are not eligible for arms licenses. In almost all cases a policeman will go to each of the addresses supplied and probably even ask your neighbours about your “moral character”. Another purpose of this verification is to check whether your stated “NEED” for a gun checks out. 10.Applying for marriage /immersion procession ? Prior to taking out any procession such as marriage, immersion of diets, public meeting, festivals and strike etc. permission is required to be obtained from Govt. authority. The applicant on the below given format, should be apply in the office of the Superintendent of Police.After perusal of application in the DPO Office, same is forwarded to the concerned Police Station for verification. IIC verifies thefeasibility of the application and report back the same to DPOs Office through SDPOs office with his remarks. On receipt of verification report both from the IIC of the concerned P.S. and the zonal SDPO, the same is further scrutinized in the Office of S.P. before grant of license. Full name and address, contact no (telephone and cell phone) of the individual applying for the licence. Date and time of the proposed procession. The route which the procession proposes to take. Approximate number of persons expected to take part in the said procession. Approximate duration of the proposed procession. Accompaniments like loudspeaker, music, band, dance troops, traditional equipment, religions symbols etc. The licence and the licensee shall remain with the procession throughout and the licence shall be produced on demand by a Police Officer of or above the rank of Havildar. The date, time and route stated in the licence shall be strictly adhered to. This licence does not permit playing of music or the performance of any act in such a manner as to amount to a public nuisance. The procession shall proceed continuously at a reasonable pace from its starting point to its destination without stopping at place other than specified. The procession will move in such a manner as not to interfere with the ordinary use of the street or highway by the public. It will keep to the left hand side of the road and cease playing music and making other loud noise when passing a hospital/school and when meeting or passing a restive animal either ridden or driven and on passing private house when it has been made know to the licensee that there is any person dangerously ill therein. No fireworks (except mahatabs) shall be discharged on any public road, without proper license . No ‘lathis’ or other dangerous weapons may be carried by anyone in the procession without obtaining special permission for the same thereof. Restrictions on use of loudspeaker, music, dance troops, band traditional equipments etc, if imposed shall be followed. Order of the Hon’ble High Court and the licencing authority specifically regarding decibel level of loudspeakers and use of firecrackers etc. shall be strictly complied. 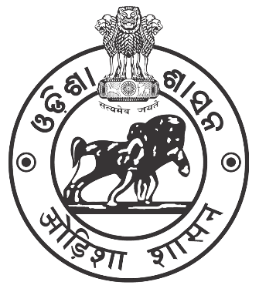 The Orissa Urban Police Act-2003, besides stoppage of the procession and other legal action.